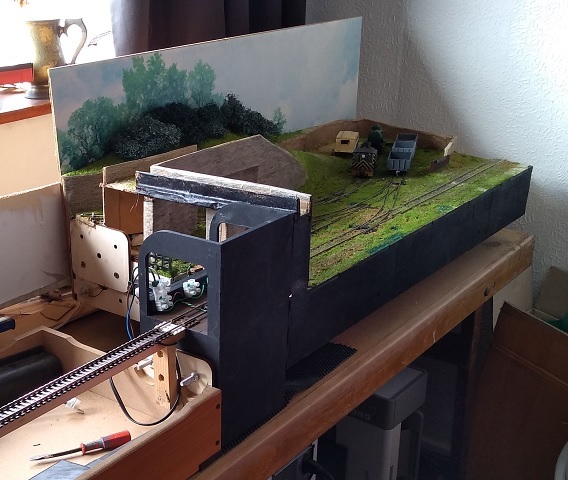 Model Trains Interactive :: View topic - Pick and mix micro layouts. 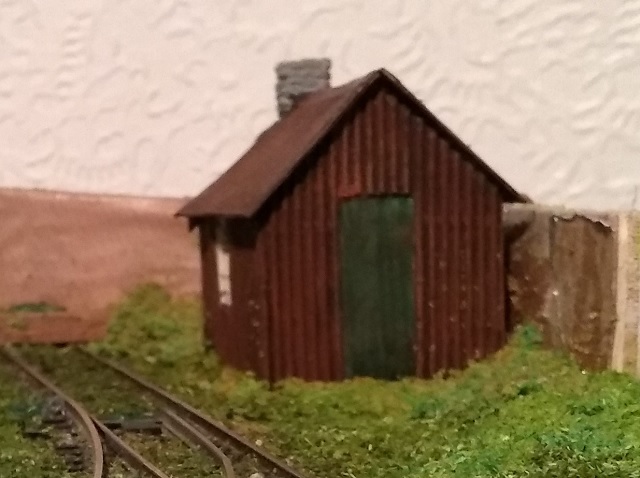 Pick and mix micro layouts. Looking good, Bob. The contours and bridges have a good feel to them. Cheers Giles. Some more progress on the bridges was made this morning. Superquick, old school but still effective, has provided the masonry. OO scale so the capstones are too small and I'll need to make new ones from the brown paper. Like Giles, I think that looks pretty good to my eye. I rather like the overgrown track, reminds me of Nailsworth in its final days in the early 1960's. 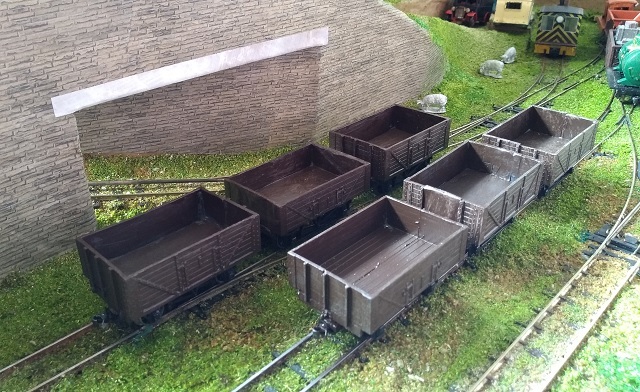 The wagon fleet all Kadee fitted. And a bit of greenery. 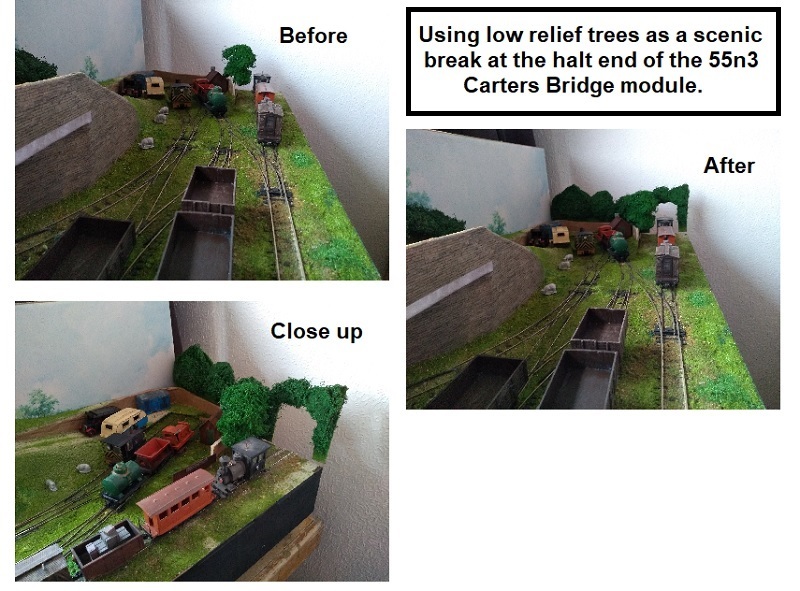 When in use as part of a modular layout there will be another link section, identical to the one shown below, immediately beyond the trees. and picking up the outbound loads. We ought to have a thread of pretty trains, interesting to see what turns up. Number 8 has been transferred from the FCPyF. She's a dainty little engine in On30, dwarfed by the much bigger moguls and consolidations, but becomes a heftier looking loco in 55n3. 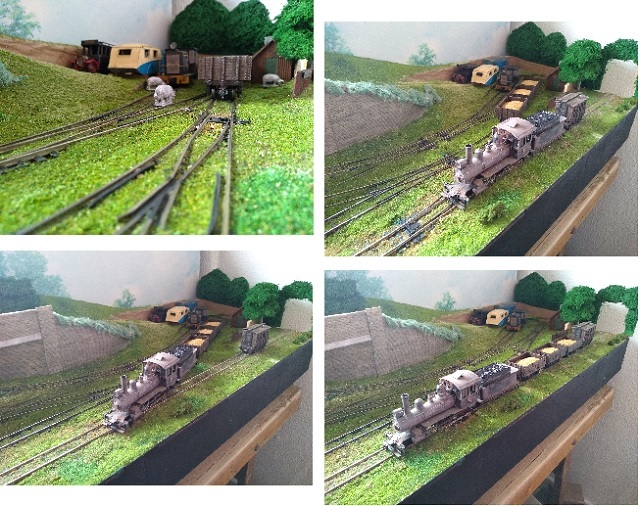 She was modelled as an oil fired loco on the FCPyF but the fuel tank from the tender has got lost in storage. New greedy boards (coffee stirrers, naturally) have converted her to a coal burner on the R&W. Why are there American locos in the Lake District? The L&B had a Yankee loco so why not? I always thought the reason for "Lyn" being American was that when the L&B wanted to commission her all the British builders' order books were full, so they had to go to Baldwin's. Is this also the reason for those American moguls on the Midland? And why were those 4-4-0Ts on the Highland nicknamed Yankees (I'm fairly sure they were British built)? And why were those 4-4-0Ts on the Highland nicknamed Yankees (I'm fairly sure they were British built)? 4-4-0 being a very common US arrangement, which gave the best riding characteristics on indifferent track? You seem to be right regarding the reason for purchase of US [Baldwin?] locos. I'm sure you're right, Alastair, that it was the 4-4-0Ts wheel arrangement, rather than their origin, that provided their nickname. The Whyte notation lists 4-4-0 as American, it was the classic Wild West loco.